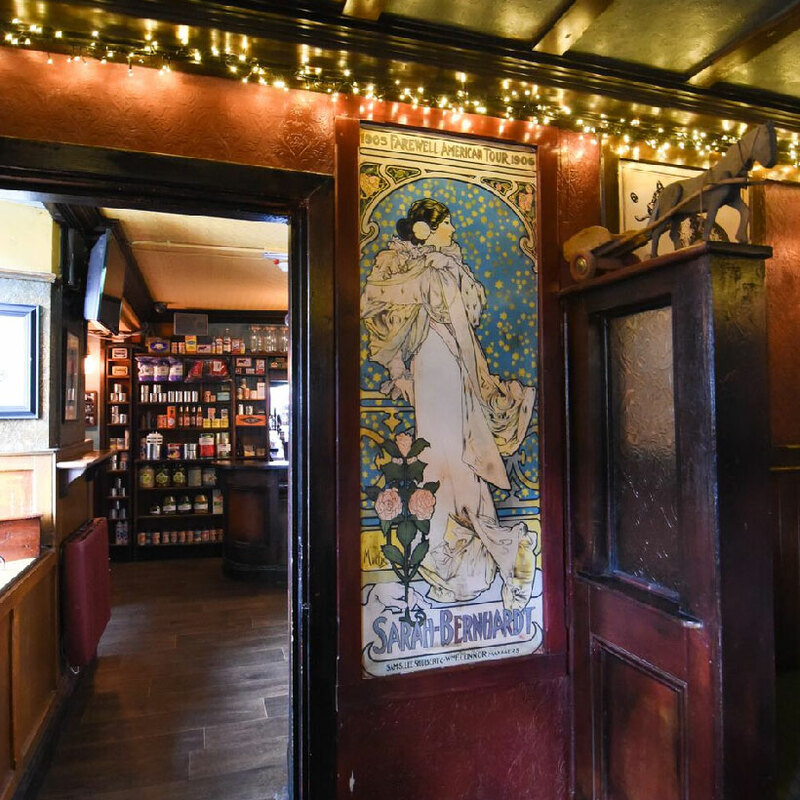 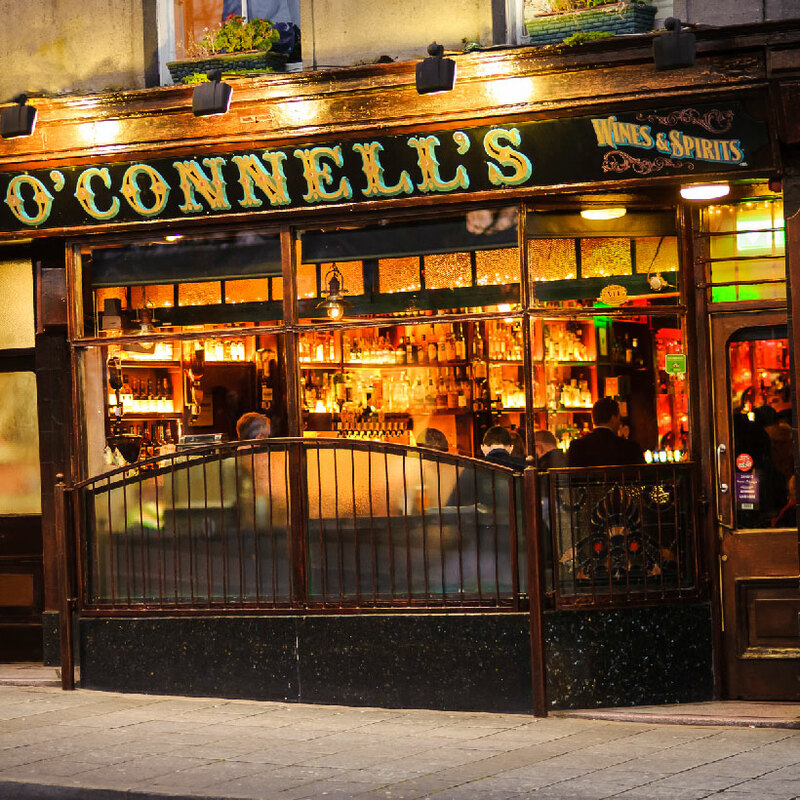 O’Connell’s is a traditional-style pub with tons of energy. 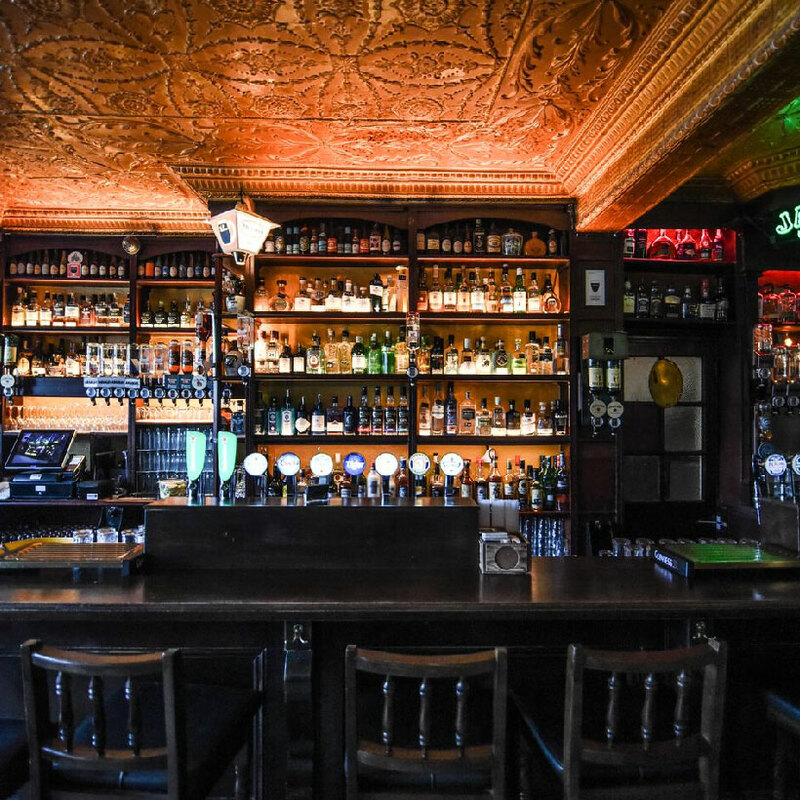 The bar feels like sitting inside a piece of history with stained glass windows, antique lighting, and a wall to wall whiskey display. 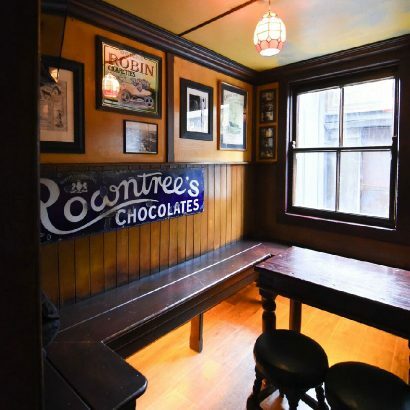 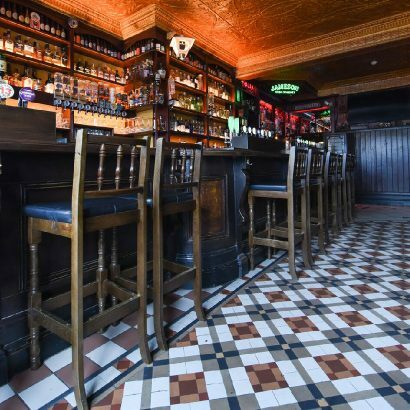 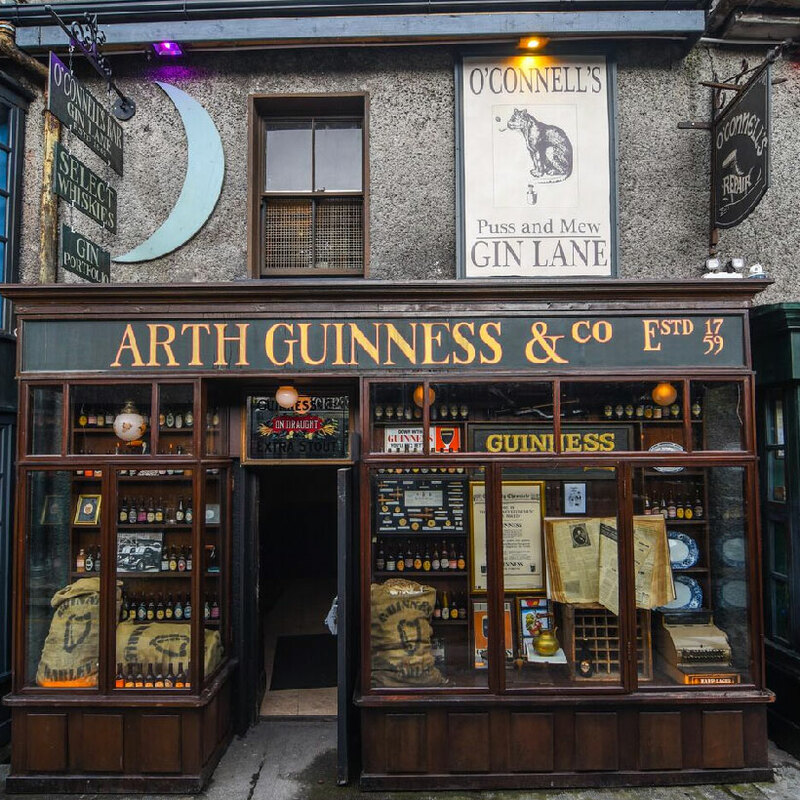 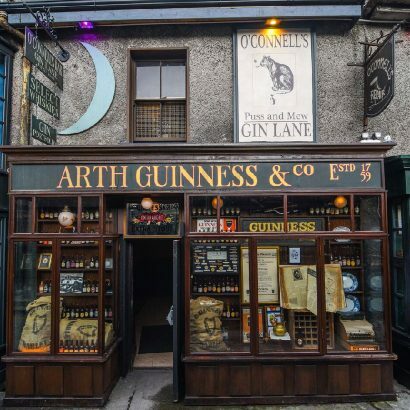 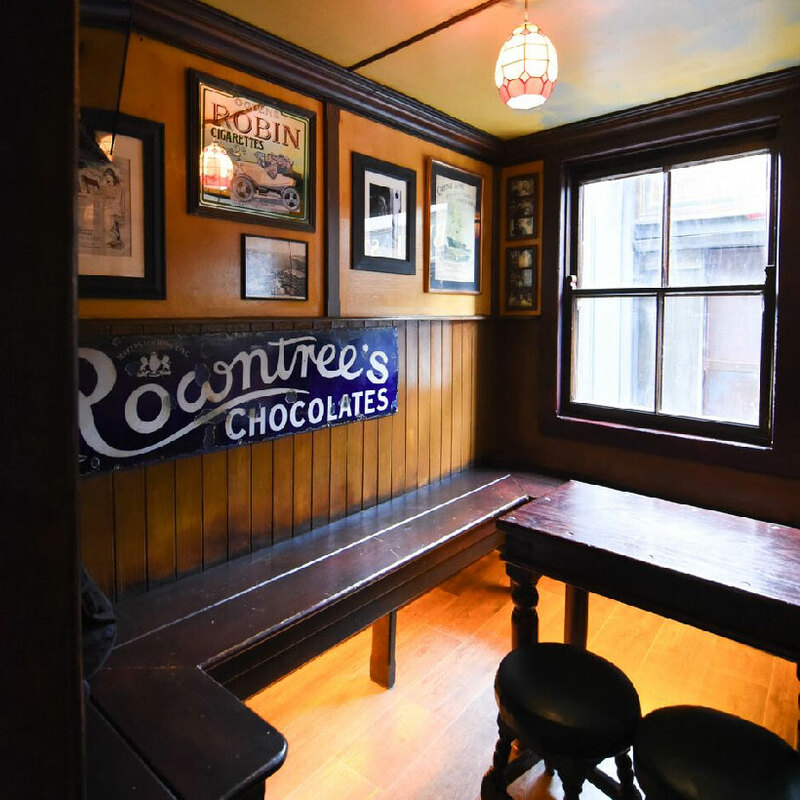 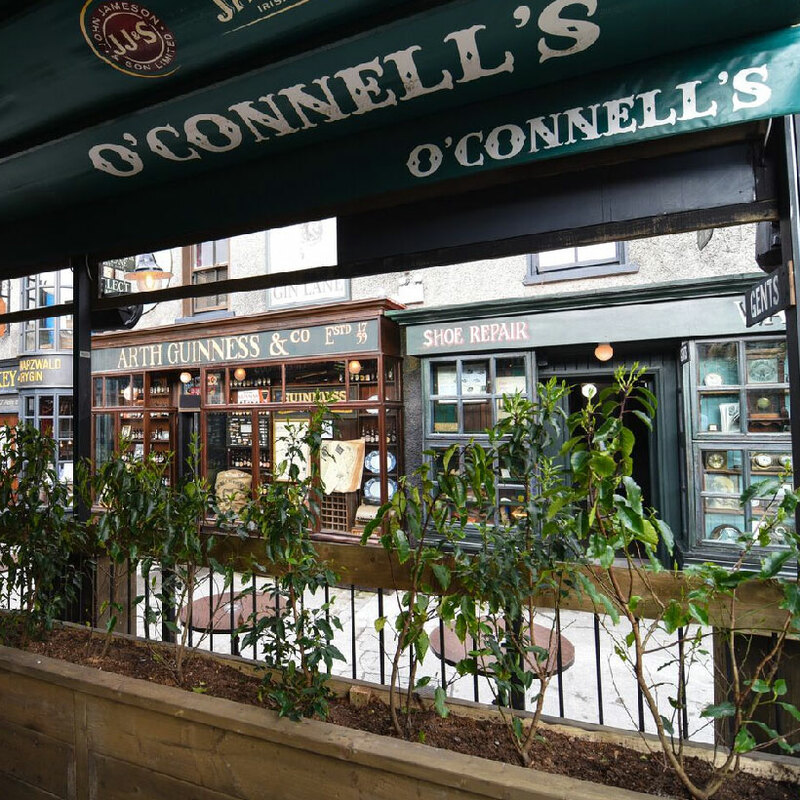 It’s a popular spot for after-work pints or a great night out. And the best thing about O’Connell’s: the massive outdoor beer garden. 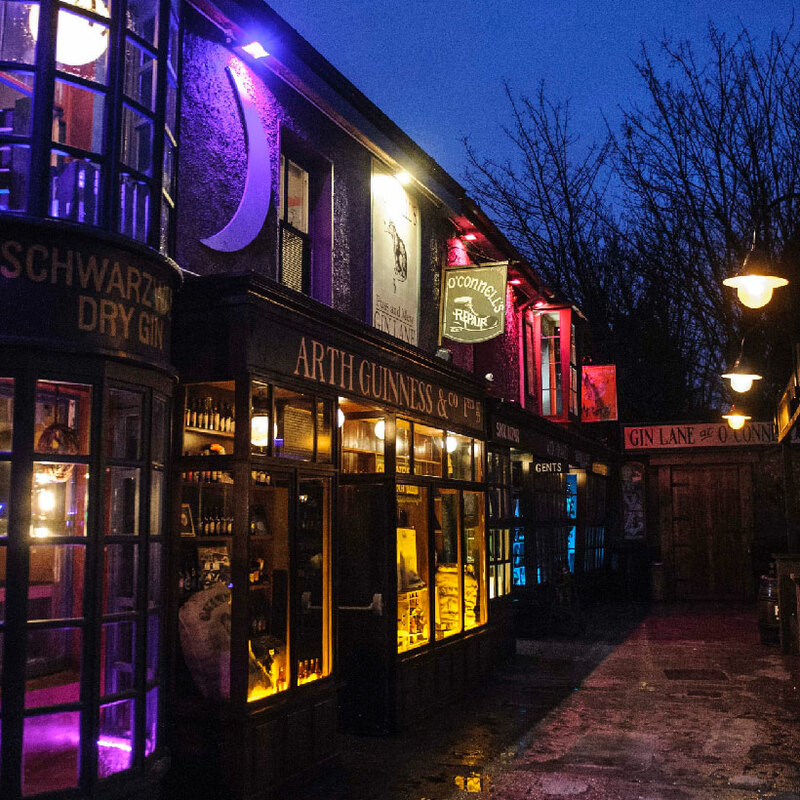 It looks like a mock street, with store fronts and a cobbled “street” leading from one end to the other. 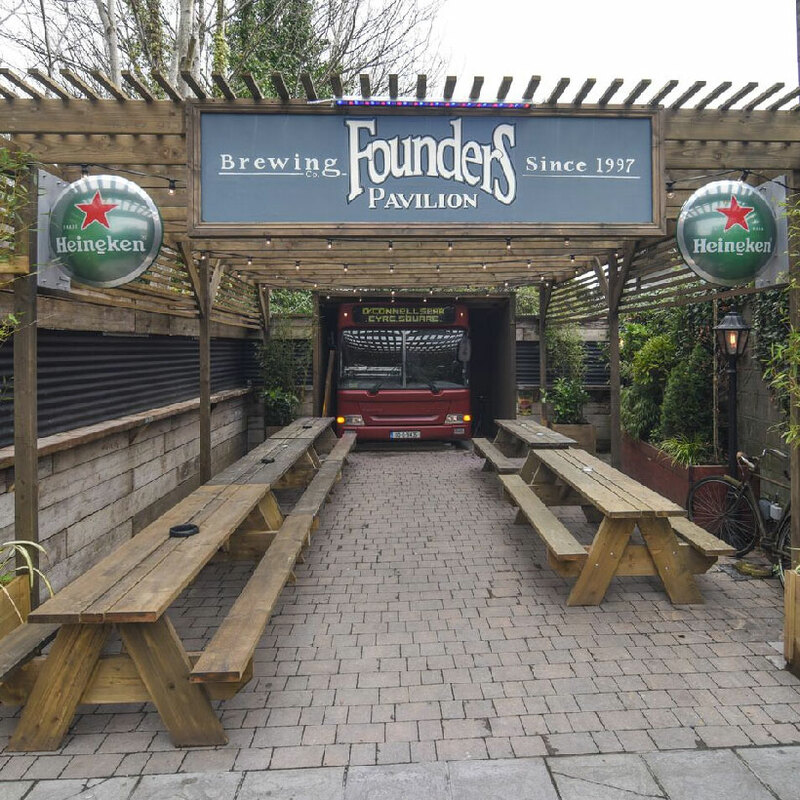 The garden features plenty of picnic-table style seating for when it’s nice out, as well as covered nooks and shelters with heating lamps. 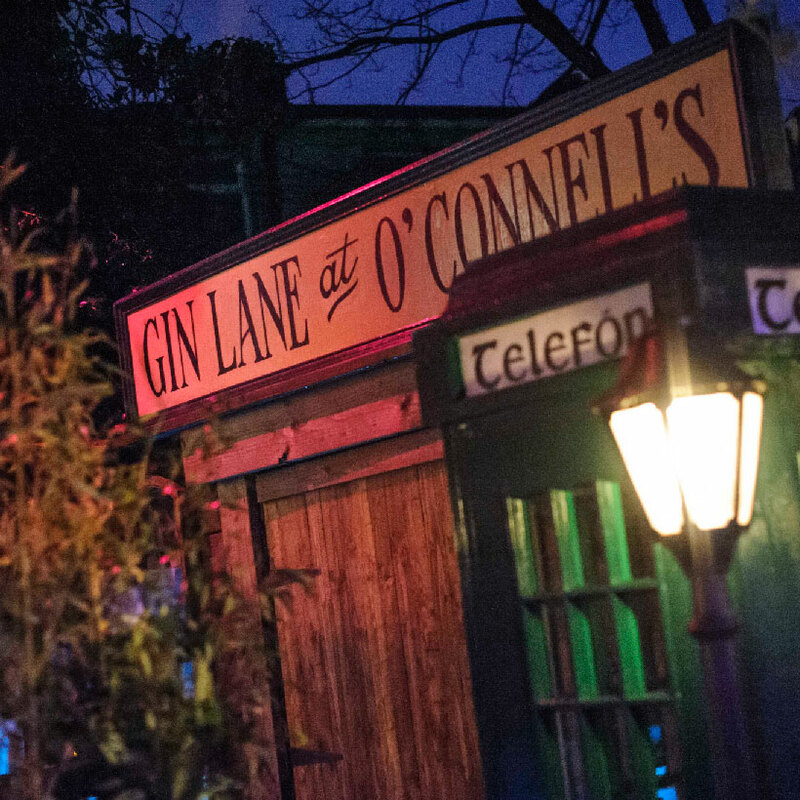 On Friday and Saturday evenings, there’s an outdoor bar open as well! 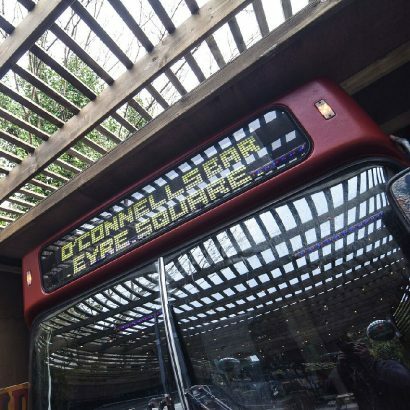 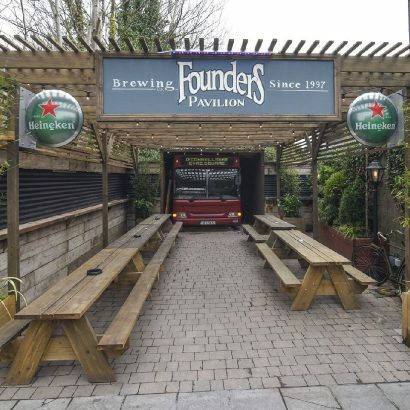 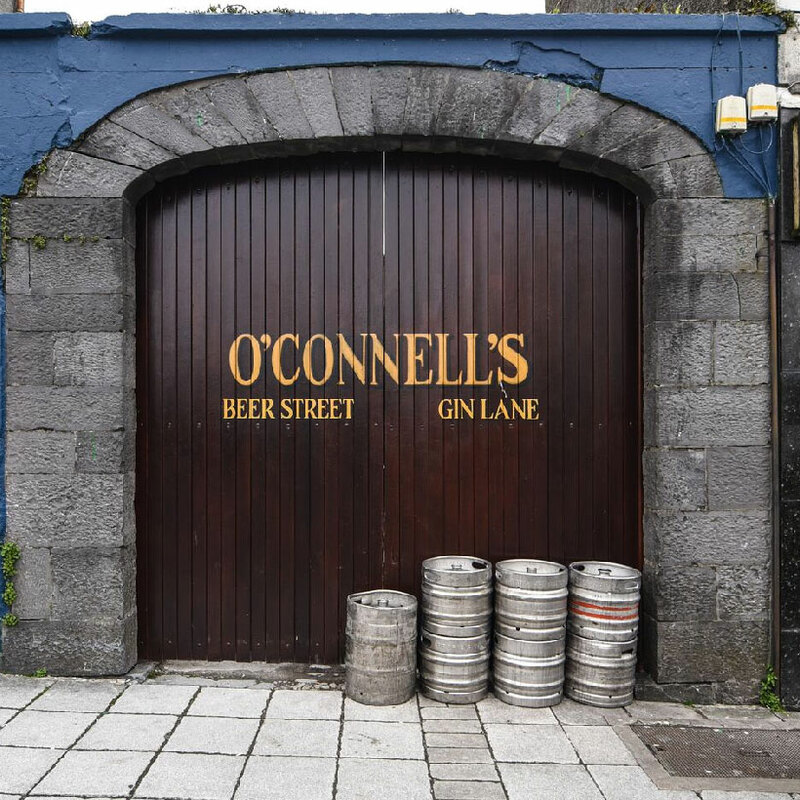 If you have a party planned – whether it’s a birthday, a corporate party or family get together – O’Connell’s beer garden can be rented out as a party and BBQ space. There’s plenty of room for a big gathering, and its central location in Eyre Square makes it an easy option. 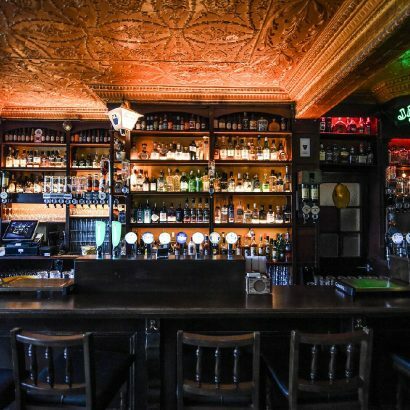 Plus the place is loads of craic!